Here is a potential class 5 patient who received 1600 CIT grafts. The patient has straight, medium fine hair with average donor density (180 hairs per square centimeter). 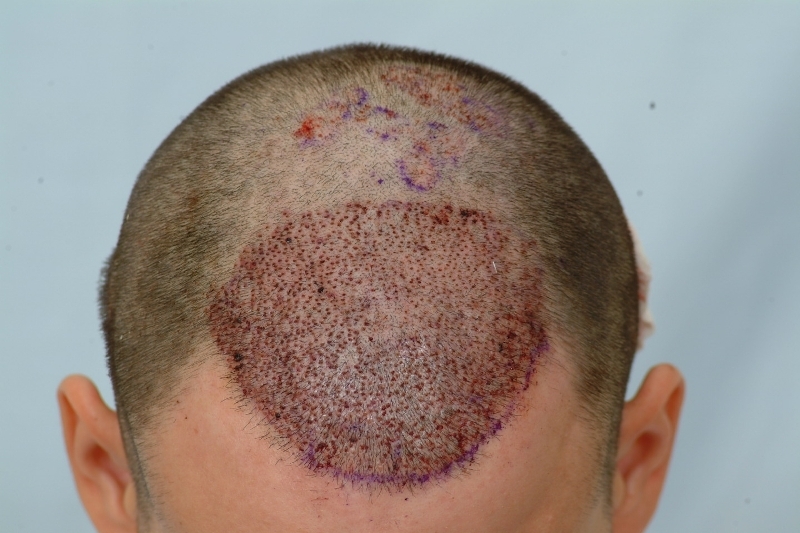 The patient’s goal was to add density to the appearance of the frontal scalp. Dr. Cole’s treatment plan for this patient was to conservatively transplant the CIT grafts to the top and frontal third. Medical therapy was also in the plan to treat the patient. The photos shown below depict this patient’s progress at 24 months post-op. 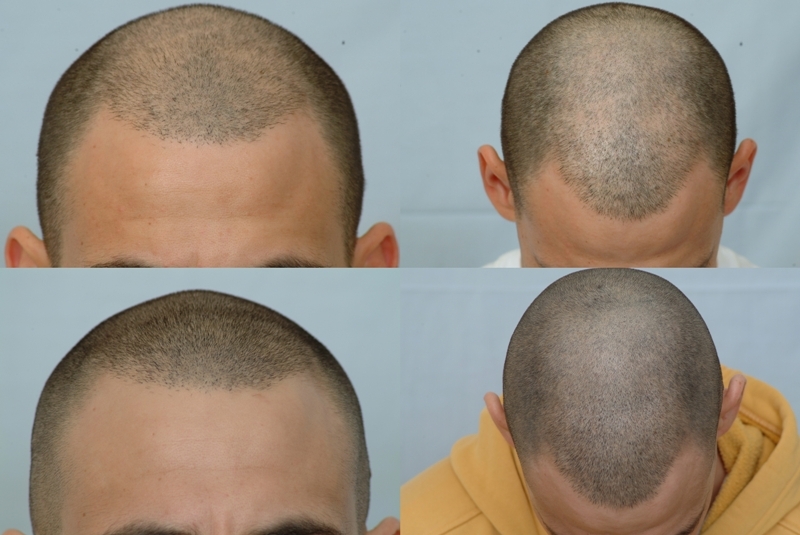 A dramatic change in the appearance of the frontal scalp has been achieved by adding such a small amount CIT grafts. 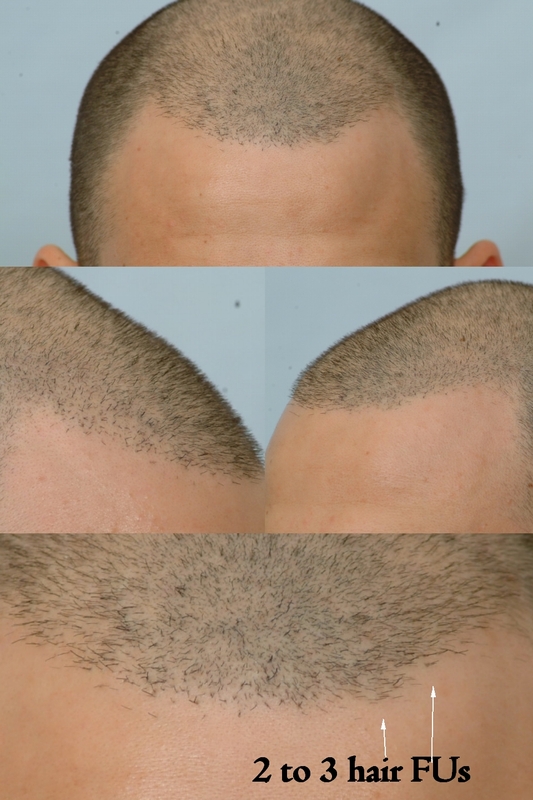 With CIT, there is no linear scarring associated with strip hair transplant method (FUT). No clinic can guarantee that a surgery is 100% scar free but there are less invasive methods to harvest a donor area. The patient is very excited about the new natural looking growth and the boost of confidence. » frontal third. Medical therapy was also in the plan to treat the patient. » the new natural looking growth and the boost of confidence. I am not too sure about this one, it’s almost like he had little or no hair loss in the before pic. I would send this guy home, no surgery necessary. How old is this guy? I agree with RF, he looked perfectly fine without the hair transplant. » loss in the before pic. I would send this guy home, no surgery necessary. My words exactly. I’m afraid that this one went to a well-know clinic before coming to us. We advised that a trial of non-surgical methods be administered and evaluated at a later date. We have very strict directives for our patients. A very large population of younger individuls recieve recommendations to “wait” and try non-surgical methods to combat hair loss. The patient is 30 years old. At the time this patient came to Dr. Cole, the recommendation was that this patient begin medical therapy. Before performing any surgical procedure, we followed this patient for about two years then evaluated the results. The patient had positive results and was told to avoid high density and dense packing in consideration of additional loss. There is actually a secondary purpose to the surgery Dr. Cole has performed. In the photos below, you may be able to discern that this patient had a prior procedure from a well-known clinic. The previous clinic performed below average work which had to be corrected. The frontal hair line had larger follicular units that were mis-angled which resulted in an unnatural appearance. 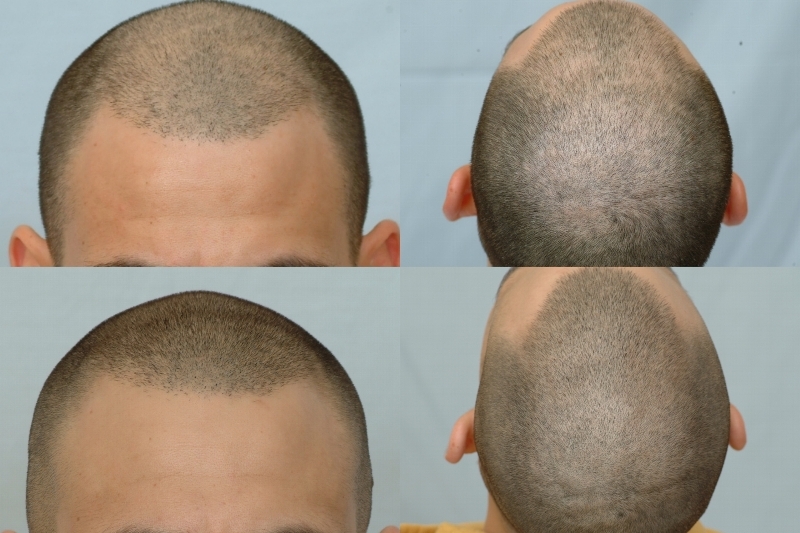 The frontal hair line was rebuilt by transferring single hair follicular units and correcting the different orientations of the previously transplanted follicular units. We disclose to our patients that we don’t know what the future may bring, but in the event of additional loss, they will at least reserve the advantage of having a natural hair transplant. Some viewers may understand that some well-known clinics actually perform large procedures on extremely young patients and aren’t telling them that there are many considerations that should be made beforehand.